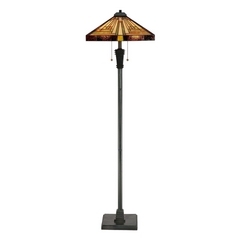 The following are detailed specifications about the Accent Lamp with Art Glass in Bronze Patina Finish. 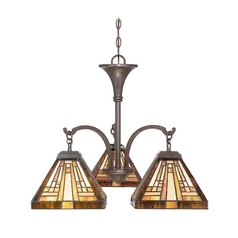 Tiffany bronze patina 1-light accent lamp. 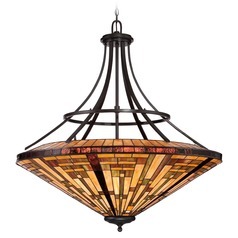 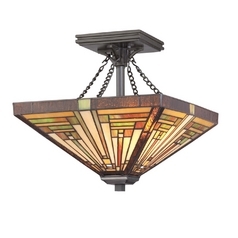 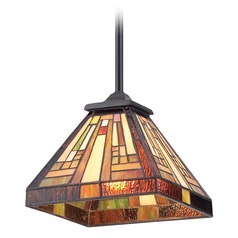 This Tiffany glass piece is made from real glass. 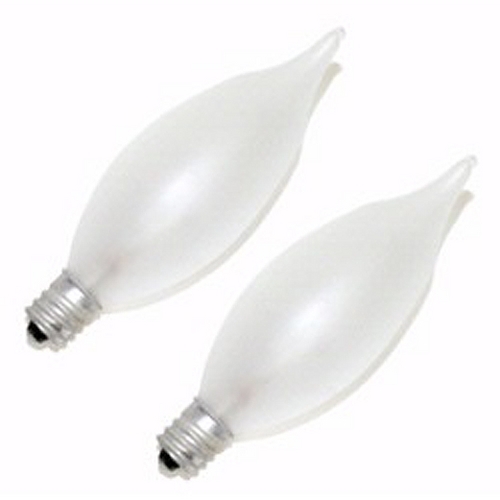 When you tap the Tiffany shade it can feel like plastic. 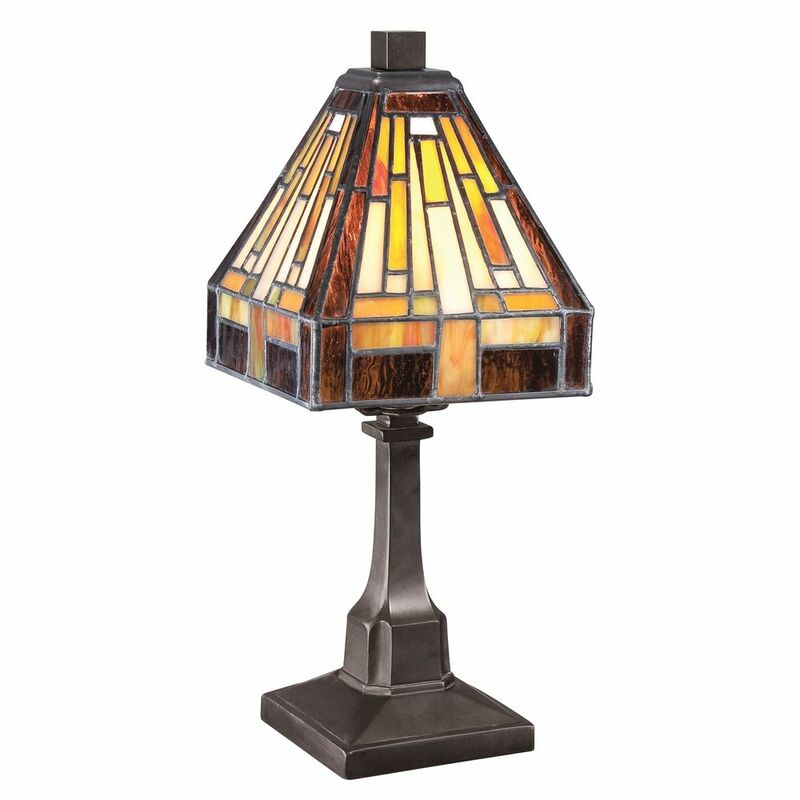 The vibration that it gives off when you tap on the shade is dampened by the soldering of small panels of glass together. 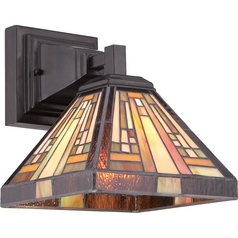 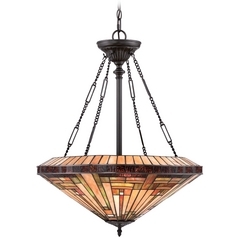 This Accent Lamp with Art Glass in Bronze Patina Finish is part of the Stephen Collection from Quoizel Lighting. 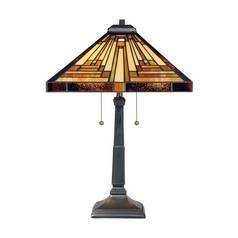 The following items are also part of the Stephen Collection.